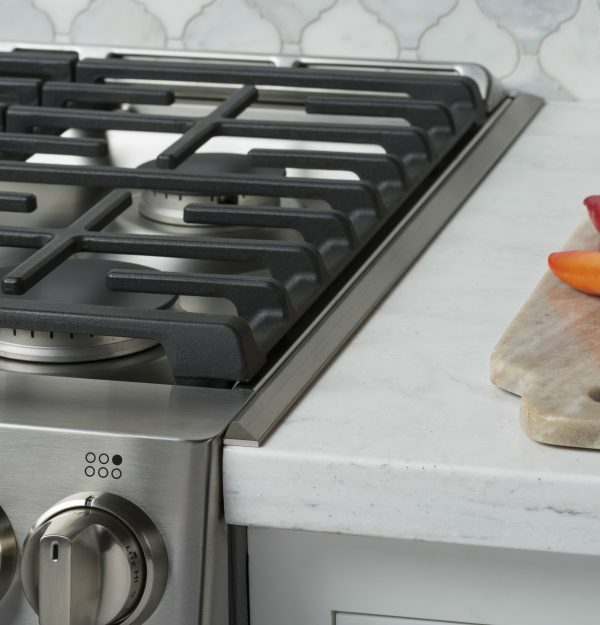 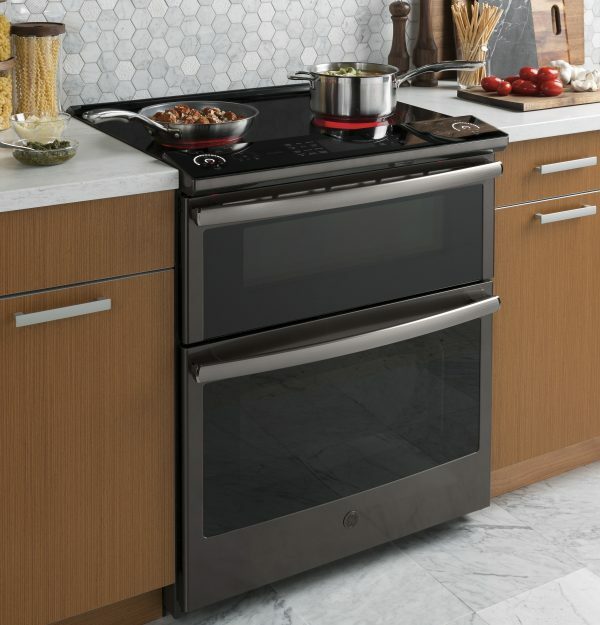 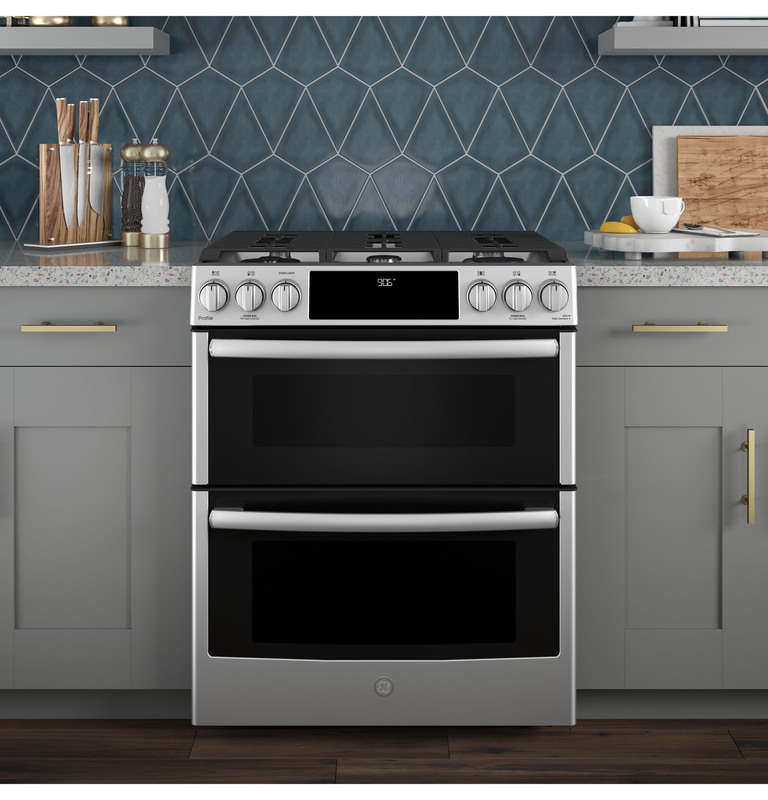 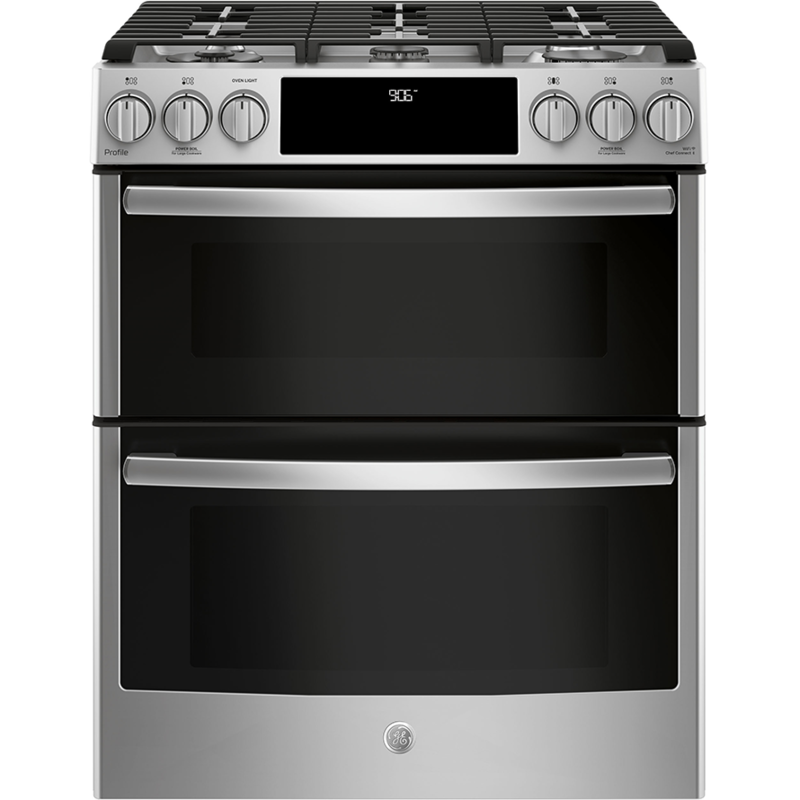 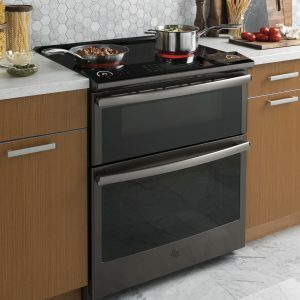 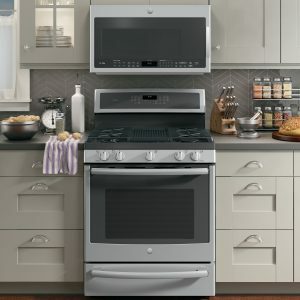 GE Profile Ranges have intuitive controls and cooktop versatility to help great meals come together with confidence, while the sleek, modern appearance and easy-to-clean design create an enjoyable experience from start to finish. 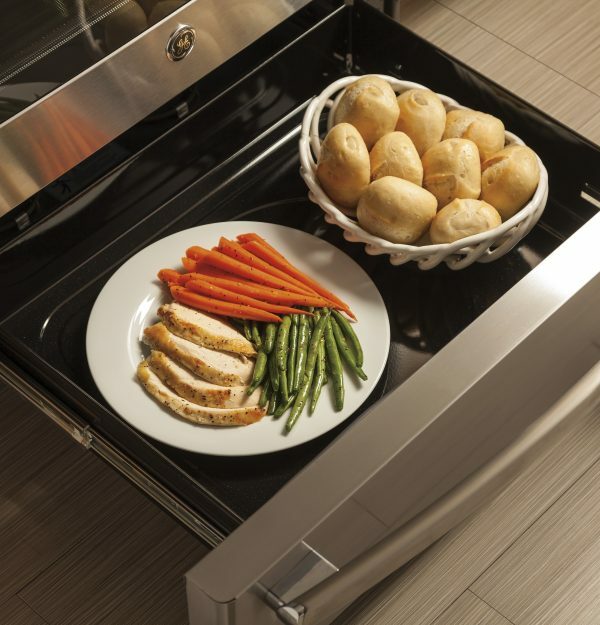 Replace your old 30” free-standing range with a new 30″ slide-in model. 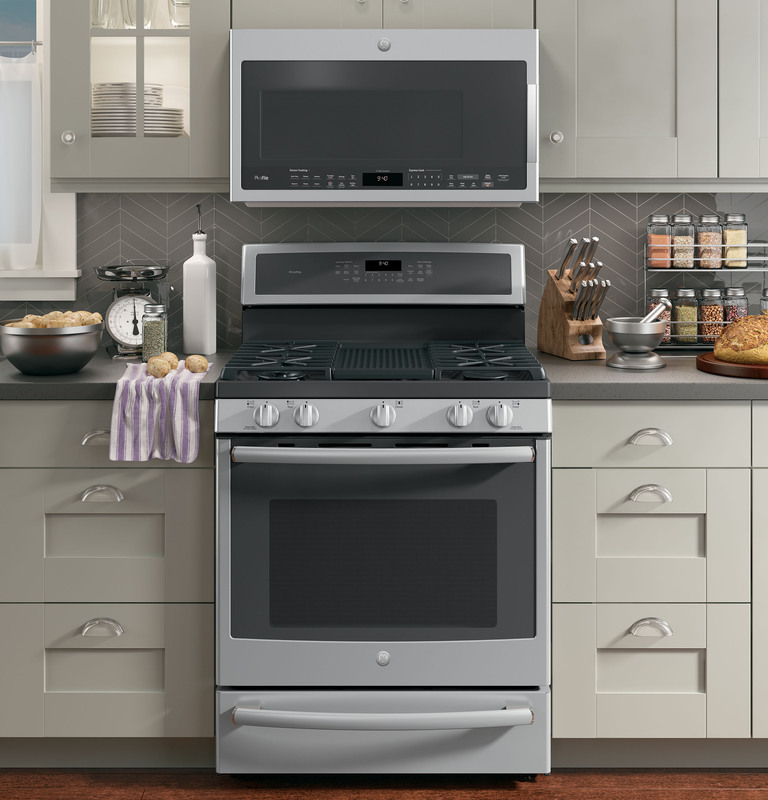 GE slide-in ranges are guaranteed for an exact fit to make replacement easy. 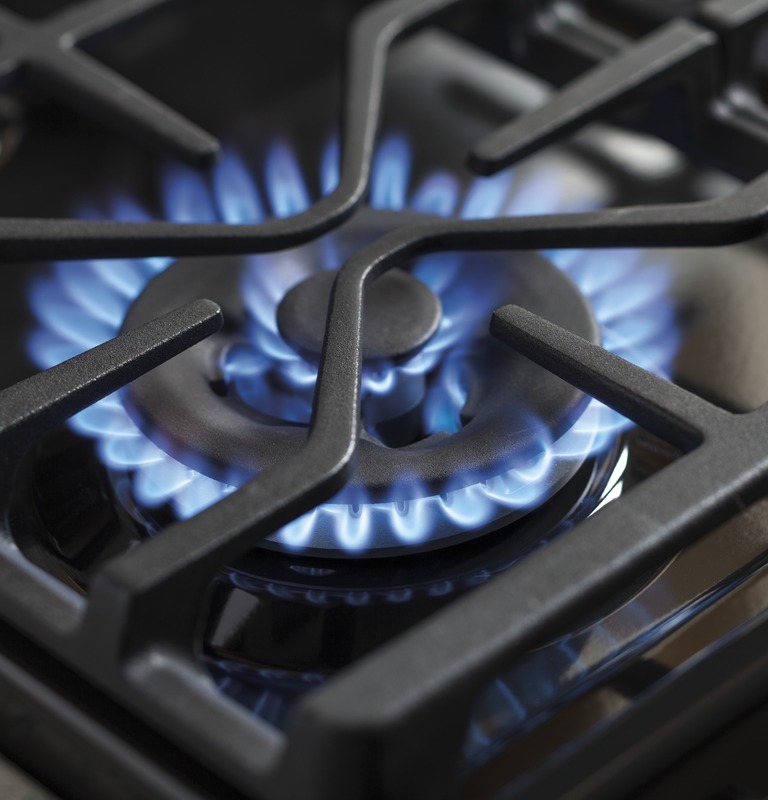 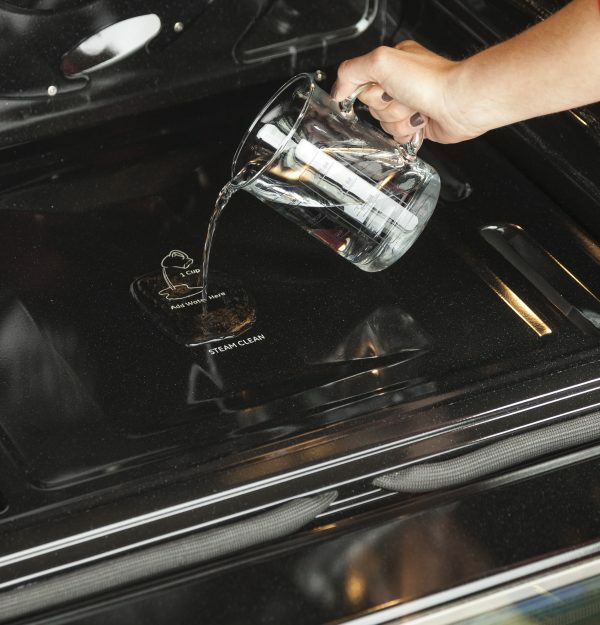 A large, continuous cooking surface gives you extra room for pots and pans of all sizes and lets cookware move easily from burner to burner. 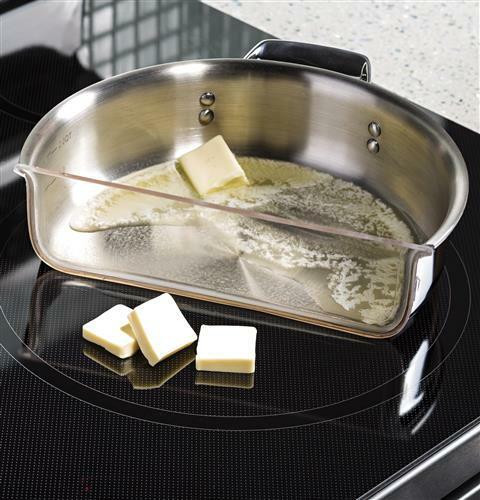 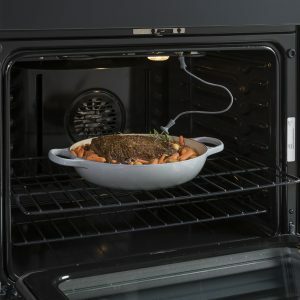 Versatile burner creates intense heat perfect for searing, frying and sautéing. 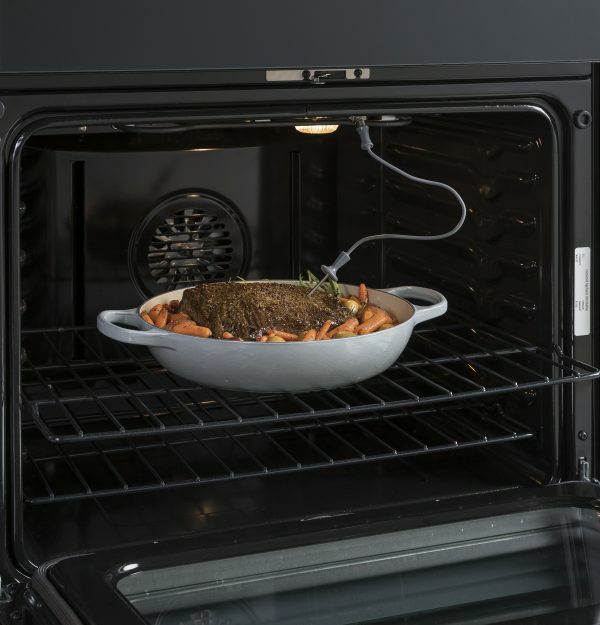 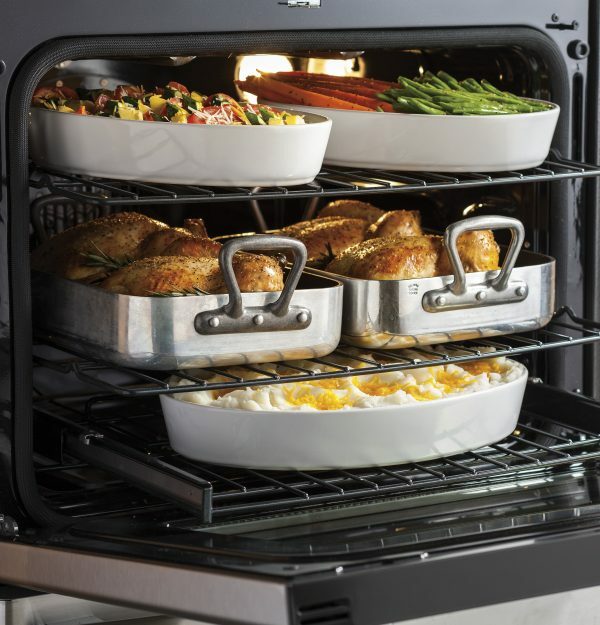 Enjoy ultimate cooking versatility. 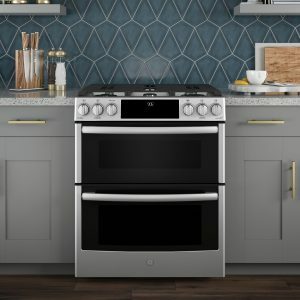 Cook up to six grilled cheeses on the industry’s largest integrated griddle, and then flip it over to grill your favorite foods. 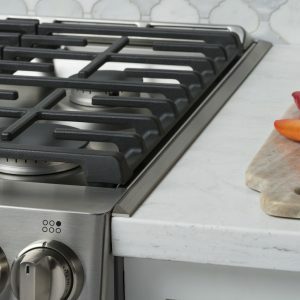 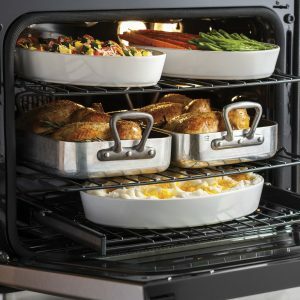 Cook with anything from grills and griddles to oversized pots with the industry’s first combination oval/round burner. 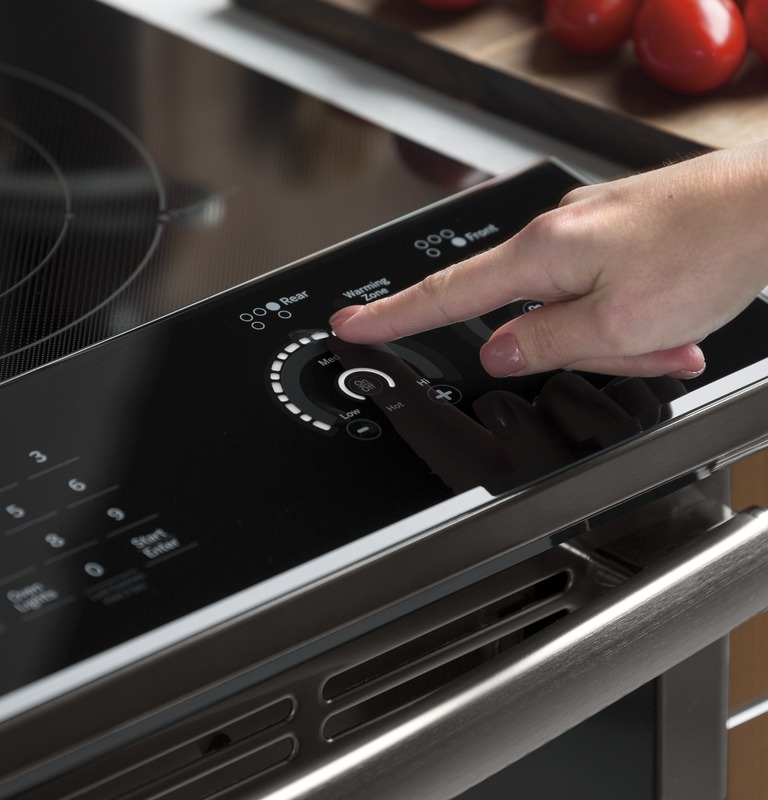 Three options with a single touch. 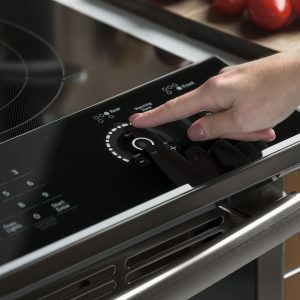 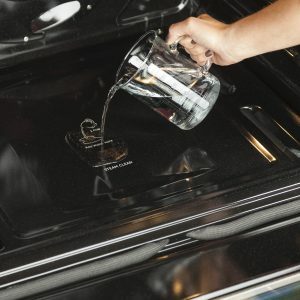 For instant convenience, choose when to automatically sync clocks and the range burners with the microwave’s surface light and vent. Precisely control element temperature with just the swipe of a finger. Powerful enough to boil a quart of water in 101 seconds yet gentle enough for delicate sauces.